Today, Apple has been making a bunch of education-related announcements, and one of them is a new app for iTunes U. iTunes U was where recorded university classes were shared on Apple's media portal. The iPad and iPhone app will include lots of helpful stuff, like professor's office hours, class syllabus, access to class materials (including books, apps, documents, web links), teachers can post messages to students, including video and images. During class, students can use the app to take notes, as well as access textbooks. The app can also be used to deliver assignments. Some big universities are already in on the program, including Harvard, Yale, Oxford, Cornell, Berkeley, and lots of others. 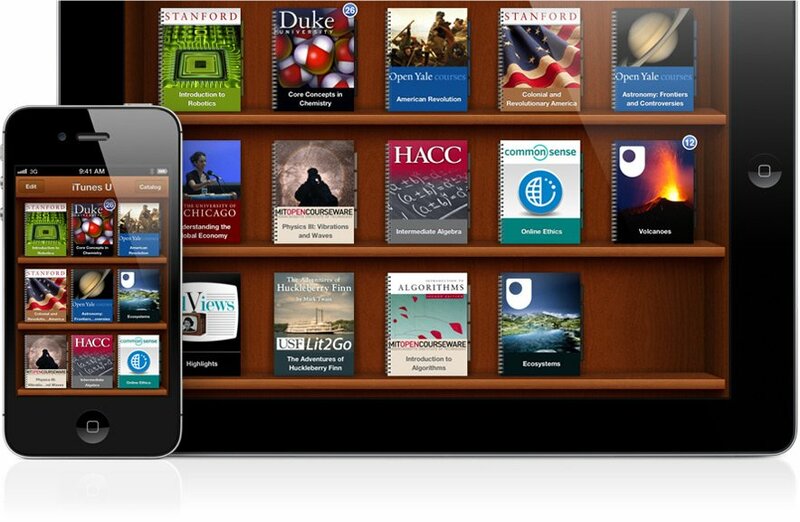 iTunes U for iPhone and iPad is available for free starting today. NEW YORK—January 19, 2012—Apple® today announced an all-new iTunes® U app, giving educators and students everything they need on their iPad®, iPhone® and iPod touch® to teach and take entire courses. The all-new iTunes U app lets teachers create and manage courses including essential components such as lectures, assignments, books, quizzes and syllabuses and offer them to millions of iOS users around the world. The iTunes U app gives iOS users access to the world’s largest catalog of free educational content from top universities including Cambridge, Duke, Harvard, Oxford and Stanford, and starting today any K-12 school district can offer full courses through the iTunes U app. iTunes U has already become an incredibly popular learning tool for students with over 700 million downloads. Prior to iTunes U, only students in the classroom at that time had access to educational content from top universities. With the iTunes U app for iPad, iPhone and iPod touch, those barriers no longer exist. Students anywhere can take an entire course with complete access to all course materials right at their fingertips. With the iTunes U app, students are able to access new books right from within the app, and any notes taken in iBooks® are consolidated for easy reviewing. In addition to reading books, viewing presentations, lectures and assignment lists, students can receive push notifications so they always have the latest class information. * The iTunes U app is available today as a free download from the App Store™. Educators can quickly and easily create, manage and share their courses, quizzes and handouts through a web-based tool and utilize content and links from the iTunes U app, the Internet, iBookstore℠ or the App Store as part of their curriculum. They can also upload and distribute their own documents such as Keynote®, Pages®, Numbers® or books made with iBooks Author. *Some content is available only for iPad.